The most beautiful free compass for iPhone, iPhone X and iPad. 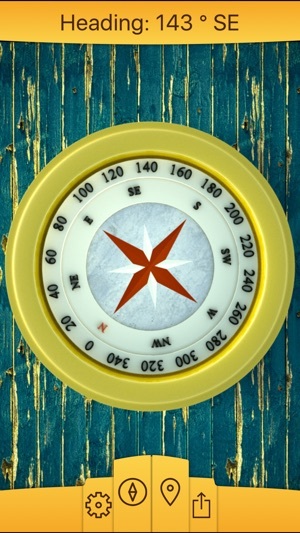 Simple beautiful rustic style compass for your iPhone and iPad. Know your location, altitude and orientation instantly with this handy app. The application accuracy relies on the device sensors. Works best if the device is away of any strong electromagnetic source. 5 stars - Does what's supposed to do in a beautiful and straightforward way. The graphic interphase is impeccable! Great Job!! The compass I use the most! 5 stars - Been using this handy little app for quite a while no hiccups very useful! 5 stars - It's great, as a boater I can reference position of our boat, using Google Earth. I then determine the direction of wind/rain and effect it will have on mooring lines. It's an early warning system we use as to how we need to readjust our lines in inclement weather. 5 stars - Very reassuring to know I won't ever get lost thanks to this ingenious app. 5 stars - Great if you love antique looking compasses. 5 stars - Had the grandsons out hiking and found moss and confirmed north. Very handy app. 5 stars - Easy to use, and elegant design. Matches my ship. 5 stars - Use it a lot when showing houses. I'm able to see which direction the front door, bedroom windows etc are facing. The questions buyers usually ask. Very accurate, I highly recommend it. 5 stars - Super easy to use and accurate. Use it to know where to spot the Space Station and it is spot on. 5 stars - I must say, I enjoy this app. I have used it on several occasions and I'm pleased so far. 5 stars - Nifty. I love the idea of having access to a compass whenever I want one. 5 stars - Excellent ....easy to use , beautiful graphics. 5 stars - Awesomely accurate; functionally superb. 5 stars - I use the app as I travel and directions call out "go north on Main Street". Being directionally challenged it's nice to have a compass on hand! 5 stars - Love the App, accurate and most helpful, a great tool! 5 stars - Does what's supposed to do in a beautiful and straightforward way. The graphic interphase is impeccable! Great Job!! 5 stars - I really like this app. The compass works well and looks great. I like it so much I put it on my phone too. 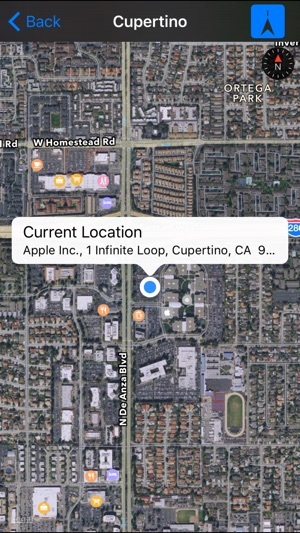 5 stars - Downloaded this app while in the middle of swamp in order to prove which direction was north. Won 20 bucks. Great app. Cool graphics. Works well on the go even with vibration of airboat. 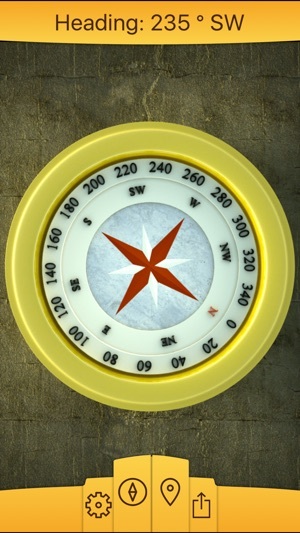 Compass is a simple yet well designed and effective navigation application. Upon purchase if the free version users will get a classic compass interface that displays above the main design your location and the compass itself the coordinates steadily changing dependent on your movement. The app also has a paid version that will allow you to customize the compass interface using different themes and removes the ads as well. 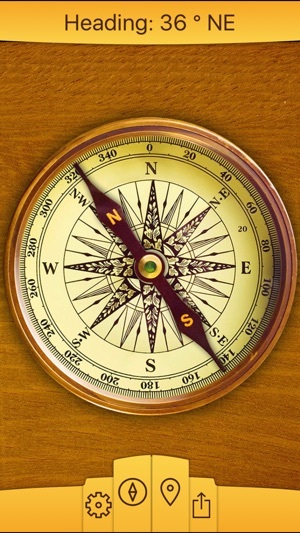 Compass works well as a guide for those who are using or are dependent on an iPhone or iPad device. The app crashes on launch on my iPad 3 using the final version of iOS 9. None of the later versions of iOS can be installed on an iPad 3. The app has been updated and now works on my iPad 3. I increased the rating to 5. A very nice app and support is outstanding. Thank you for your feedback. We do confirm the latest version of Compass ⊘ has issues with iOS 9.3.x. We will soon release a new update to fix this problem. Thank you for your patience and we apologies for the inconvenience. This works fast and well, and gives GPS coordinates too, which I use in my water well business. It is the opposite of bloatware, and infrequent updates are fast. I wish more apps were like this. Requires iOS 10.0 or later. Compatible with iPhone and iPad.